Bangabandhu Sheikh Mujibur Rahman Agricultural University was established on 1998 that is the biggest Agricultural University of Bangladesh. It is a public University in Bangladesh. Its Nickname is BSMRAU. Anyways, I’m showing up here History of the college with faculties and departments information. Moreover, you will get here a little bit discussion about library facilities. So, let’s jump into the article below for details. 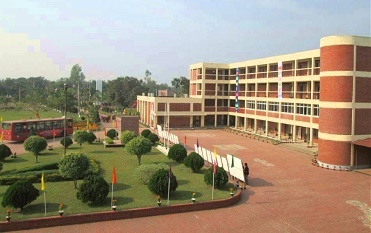 The Bangabandhu Sheikh Mujibur Rahman Agricultural University is a 13th government financial public university in Bangladesh. And, it is the 3rd Agricultural University in Bangladesh. This university was established on 22nd November 1998 which is located in south Salna in Gazipur district. In the light of it is 9.5 km far from Gazipur Chowrasta. Furthermore, it is beside the Dhaka-Mymensingh Highway road. This university is the finest Agricultural University in all over Bangladesh. The University has the total area of 187 acres with a big and comfortable campus for the students. Here, the number of the academic staff is 185 and the number of administrative staff is 329. And, in the University, total 1400 students study here among them 850 are undergraduates and 350 are postgraduates. Besides, approximately 50 students are Doctoral in here. Now, you can see it is a very well university and has all kinds of facilities. Now, it is time to know about the departments and faculties of Bangabandhu Sheikh Mujibur Rahman Agricultural University. Do you know how many departments this university has? No! Then read carefully. This university has 4 faculties and under them, it has 36 departments. For the list you can check the official site of BSMRAU. The University has 14,418 square feet of library area. It has 2100 volumes or copies books with 15000 titles. This university library has 258 journals. And, the number of the thesis is 1800 volumes. It has 9 daily newspaper and 2 weekly newspapers. Each teacher can get 10 Books & 8 Journals for 12 weeks and each student can borrow 3 Books for 2 weeks. It also has other facilities like hostel facilities lab facilities etc. Final information is that President Md. Abdul Hamid is the Chancellor of BSMRAU at the present time. In other information is that Prof. Dr. Md. Mahbubar Rahman is the vice-chancellor of this university. We hope you found much info. And, visit our website for more information about Bangabandhu Sheikh Mujibur Rahman Agricultural University.